Do You Need a Hydrocephalus Birth Injury Attorney? Hydrocephalus is the technical term for fluid accumulating in the brain. Cerebral spinal fluid (CSF) is the fluid that surrounds and protects the brain and spinal cord tissue. It circulates throughout the brain before being reabsorbed into the blood through the brain ventricles. If a baby experiences head trauma or hypoxia (lack of oxygen), is born prematurely, or experiences other complications around the time of birth, the result can be intraventricular hemorrhage (IVH), which can lead to hydrocephalus. Swelling can be caused by an excess of CSF resulting from a disruption in the balance of inflow and outflow of spinal fluids. It is usually attributable to inadequate absorption or physical obstruction. Hydrocephalus can damage blood vessels, destroying white matter in the brain and sometimes causing developmental issues in the cerebral cortex. White matter is vital to the regulation of electrical signals (neurons) among the cells that transmit information to the spinal cord, throughout the brain, and to the rest of the body. These neurons control our bodily functions, including breathing and heart rate. Playing a key role in attention, memory, thought, language, perceptual awareness, and consciousness, the cerebral cortex is responsible for both function and quality of life. Because hydrocephalus can affect different areas of the brain, this devastating condition can cause a child to experience developmental impairment and any number of lifelong conditions including cerebral palsy, intellectual and developmental disabilities, learning delays, and seizures. The primary cause of hydrocephalus is IVH, although other brain insults and injuries can result in the CSF disturbances that are responsible for hydrocephalus. The most common cause of hydrocephalus in preterm infants is a germinal matrix hemorrhage (GMH). This is because the germinal matrix activity peaks at 8-23 weeks gestation, resulting in the development of the fully formed brain. If damage to this area occurs between 8 and 23 weeks, severe brain injury or death may occur. Early recognition and prompt treatment of hydrocephalus are critical, as treatment may reduce long-term complications. Variables including the cause of the fluid buildup, how severe it is, and how the child responds to treatment will undoubtedly affect the outcome. Many sophisticated tools are available to assist neurologists, neonatologists, and pediatricians in the diagnosis of hydrocephalus. These include cerebral angiography, computed tomography, ultrasonography, electroencephalography, CSF analysis, and MRI (magnetic resonance imaging). Hydrocephalus may be manageable when diagnosed quickly and accurately. Treatment usually consists of surgical placement of a shunt system that redirects the fluid from the area of buildup to the abdomen where it can be reabsorbed during the circulatory process. 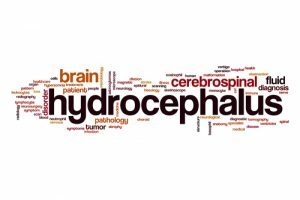 Although some forms of hydrocephalus are congenital, acquired hydrocephalus may be the result of medical negligence or incompetence. Furthermore, when hydrocephalus is suspected from any cause, prompt treatment is essential. When medical professionals fail to recognize or properly treat this condition, the results can be devastating. Unfortunately, doctors and other medical professionals do not always live up to the trust that we place in them. If professional incompetence or negligence has caused your precious baby to suffer any type of birth injury, including complications from hydrocephalus, call Thurswell Law’s qualified Michigan attorneys at 248-354-2222 for a free no-obligation consultation. We will gladly come to you if it is inconvenient for you to come to us, and you will never be charged unless we succeed in obtaining a settlement for you.